Open Forum 2017, the annual conference of Pakistani entrepreneurs in Silicon Valley, drew over 1,000 attendees, about half of them women. It featured presentations by successful entrepreneurs including Ahmad Khaishgi of SquareTrade and Mudassir Sheikha of Careem as well as sessions by powerful venture capitalists like Aaref Hilaly of Sequoia Capital. It is organized by the Organization of Pakistan Entrepreneurs in Silicon Valley (OpenSV). In addition to entrepreneurs, the attendees were venture capitalists, bankers, accountants, lawyers and high-tech executives coming together at the Santa Clara Convention Center on Saturday, April 29, 2017. Pakistani diaspora bucked the 2016 global decline in remittances with a modest 2.8% increase over 2015, according to a recently released World Bank report. An estimated $19.8 billion remitted to Pakistan amounted to 6.9% of the country's GDP. This is a welcome relief coming on the heels of the State Bank of Pakistan report indicating the country's current account deficit widened to $6.13 billion or 2.6% of GDP in the first 9 months of fiscal 2017. Meanwhile, global remittance flows to developing countries registered a decline for two successive years, said the report. 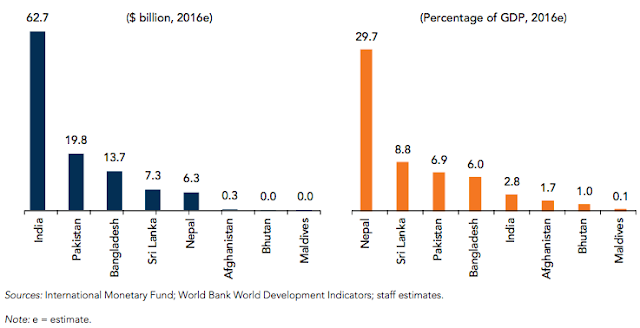 Remittances declined by an estimated 2.4 percent, to $429 billion, in 2016, after a decline of 1 percent in 2015. India, the largest remittance-receiving country worldwide, led the fall with a decrease of 8.9 percent in remittance inflows. 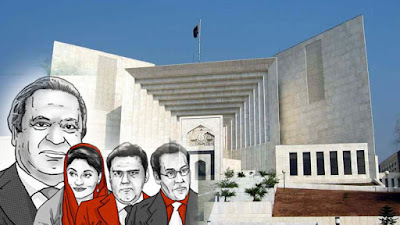 What are the implications of the split Pakistan Supreme Court verdict recently announced in Panama Case filed against Prime Minister Nawaz Sharif by PTI Chief Imran Khan, JI Chief Siraj ul Haq and AML chief Shaikh Rasheed? Why did 3 out of 5 judges not vote to disqualify Mr. Sharif from holding office under Articles 62 and 63 of the Pakistan constitution? Has the Prime Minister not committed perjury, a felony in Pakistani law, by offering multiple conflicting explanations for the source of funds used to buy London flats? Does the Joint Investigation Team (JIT) appointed by the Supreme Court have the independence and the skill set to find credible evidence of wrongdoing by Mr. Sharif? Will Nawaz Sharif survive the JIT and serve out his term scheduled to end in mid-2018? Bollywood movie revenue suffered 12% drop in 2016 to $338 million, the sharpest decline ever, according to Reuters news agency. Meanwhile, the global movie revenue rose just 1% to a record $38.6 billion last year, according to a report by Motion Pictures Association of America. Box office sales hit a record $11.4 billion in the United States and Canada, up 2% from 2015, thanks to blockbusters such as “Rogue One: A Star Wars Story,” “The Secret Life of Pets,” and “Captain America: Civil War”, according to a report in Los Angeles Times. 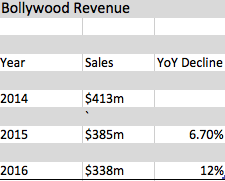 By contrast, the Bollywood revenue, a tiny fraction of the global film market, has been in decline since 2014. It fell from $413 million in 2014 to $385 million in 2015 to $338 million in 2016, down 6.7% from 2014 to 2015 and then again dropping 12% from 2015 to 216. Washington D.C. based AI technology firm Afiniti, founded by serial Pakistani-American entrepreneur Zia Chishti, has filed for initial public offering (IPO) at $1.6 billion valuation, according to VentureBeat. Zia Chishti founded his first company Align Technology in 1997 in Silicon Valley. 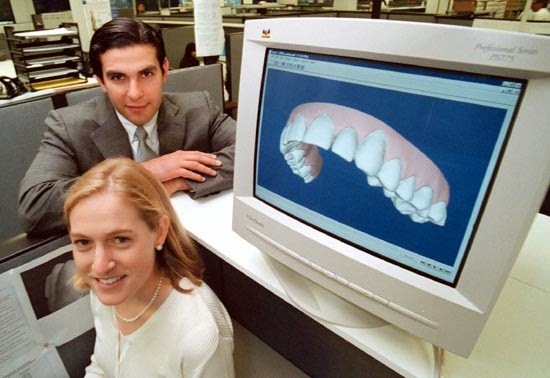 It creates clear plastic braces for straightening teeth by using advanced 3-D computer imaging. The technology now trademarked as Invisalign has helped millions of people straighten their teeth for a beautiful smile without enduring the pain and unsightly looks of the traditional steel brackets and wires used in orthodontics. Align Technology is now valued at $10 billion. Pakistan's KSE-100 continues to offer attractive valuations for investors in 2017. Its equities are trading at a forward price-earnings ratio of just 9.1, according to Pakistani brokerage firm Arif Habib Limited. Pakistani shares are on offer at a deep discount to the Indian shares trading at 17.3 price-earnings multiple. While India's stock market is among the world's most expensive, the Pakistani market is among the cheapest. Pakistani shares are now trading at 47.3% discount to Indian shares. 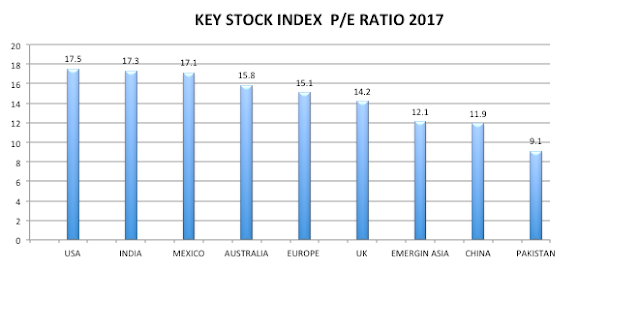 In spite KSE-100's major run up of 46% in 2016, far outpacing India's Sensex's 2.57% rise and MSCI emerging market's 8.42% increase, Pakistani equities (PE ratio 9.1) are still cheaper than Asian emerging markets (12.1) and China (11.9), according to published data. Pakistani shares are now trading at 47.3% discount to Indian shares, 31% discount to Asia Emerging Market index and 23.5% discount to Chinese shares.